Hey Hollywood! Are you tired of winter, and want to welcome spring?! 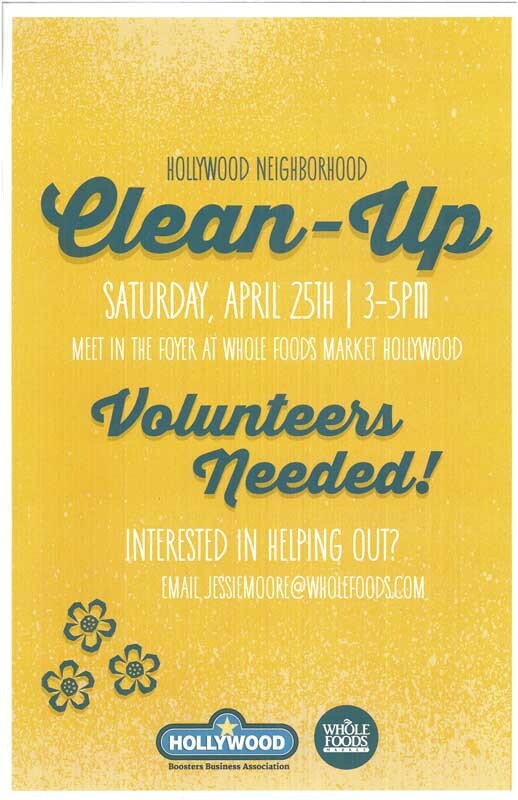 Let’s all pitch in together with a spring cleaning in the Hollywood District and neighborhoods including Hollywood and Rose City Park. We’re organizing a series of cleanups on these dates. Please sign up and help us determine how many to expect.